Vera Wang is an amazing bridal gown designer. Romance is seen throughout her collection. Her simplicity makes the gowns so beautiful and romantic. She uses rich fabrics in the tradition of Paris couture and applies them to the simple shapes associated with American sportwear, like the vest dress. Brides want to surround themselves in romance on their wedding day. 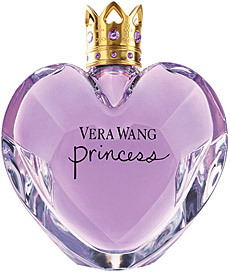 So don’t forget to check out Vera Wang’s romantic scent/fragrance line. For the women she has Vera Wang and Vera Wang Princess. She even has a men’s cologne, called Vera Wang for Men. If you are interested in picking up a bottle for your special day, you can find them at The Bay among other large department stores.